Many women deal with anxiety, but it can be more common in pregnancy & postpartum due to hormonal changes. It’s definitely something that I’ve seen women struggle with in my work as a midwife. A tricky part about anxiety during pregnancy and postpartum is that some women who have used medicine to help cope with anxiety may need to stop this medicine while pregnant or breastfeeding. Anyway, I was really happy to find this list by Dr. T.A. Richards of replacement thoughts. If you deal with anxiety, you can try printing out this list and keeping it handy, and then reading through it when you are anxious, making a conscious effort to breathe slowly and replace negative thoughts with the statements from this list. 1. I’m going to be all right. My feelings are not always rational. I’m just going to relax, calm down, and everything will be all right. 2. Anxiety is not dangerous — it’s just uncomfortable. I am fine; I’ll just continue with what I’m doing or find something more active to do. 3. Right now I have some feelings I don’t like. They are really just phantoms, however, because they are disappearing. I will be fine. 4. Right now I have feelings I don’t like. They will be over with soon and I’ll be fine. For now, I am going to focus on doing something else around me. 5. That picture (image) in my head is not a healthy or rational picture. Instead, I’m going to focus on something healthy like _________________________. 6. I’ve stopped my negative thoughts before and I’m going to do it again now. I am becoming better and better at deflecting these automatic negative thoughts (ANTs) and that makes me happy. 1. I’ve done this before so I know I can do it again. 2. When this is over, I’ll be glad that I did it. 3. The feeling I have about this trip doesn’t make much sense. This anxiety is like a mirage in the desert. I’ll just continue to “walk” forward until I pass right through it. 4. This may seem hard now, but it will become easier and easier over time. 5. I think I have more control over these thoughts and feelings than I once imagined. I am very gently going to turn away from my old feelings and move in a new, betterdirection. 1. I can be anxious and still focus on the task at hand. As I focus on the task, my anxiety will go down. 2. Anxiety is a old habit pattern that my body responds to. I am going to calmly and nicely change this old habit. I feel a little bit of peace, despite my anxiety, and this peace is going to grow and grow. As my peace and security grow, then anxiety and panic will have to shrink. 3. At first, my anxiety was powerful and scary, but as time goes by it doesn’t have the hold on me that I once thought it had. I am moving forward gently and nicely all the time. 4. I don’t need to fight my feelings. I realize that these feelings won’t be allowed to stay around very much longer. I just accept my new feelings of peace, contentment, security, and confidence. Willamette Birth offers Oregon’s best Maternity & Home Birth Care. or send a message through the contact form. Introducing the Resus-A-Cradle: a Midwife-Invented Support for Newborn Resuscitation! If you only have one baby at home, make sure it is your first! Stephanie Preston on Introducing the Resus-A-Cradle: a Midwife-Invented Support for Newborn Resuscitation! Monica Wood on If you only have one baby at home, make sure it is your first! Ash is such a great midwife! She made me feel secure and knowledgeable about our home birth. She also adapted very well to my family's needs and performed her services up and above the standard midwife. 10/10! See you next time! Ash is a fantastic midwife. The personalized and comprehensive care you get from her practice is second to none. She was always there to answer any questions we had day or night and the appointments are lengthy so you never feel rushed. I also really appreciated the combination of modern innovations and practices mixed with a more naturalistic approach. We would definitely have her as our provider again! Ash was an absolutely wonderful doula. She supported me before, during and after my baby's birth by meeting with me to work out my birth plan, attending an appointment with me, answering any questions that I had from her strong knowledge base, and helping me to stay grounded and focused during labor for my successful unmedicated VBAC. She shared excellent resources with me including a binder of birthing and postpartum info and websites with current research to help me make decisions. She always responded right away to any communications and got to the hospital very fast when my labor was moving at lightning speed. She stopped by for her postpartum visit and jumped in to doing chores around the house. She was both friendly and professional. I would highly recommend her doula services and imagine that she is an excellent midwife as well. We received excellent, individualized care from Ash Johndottir. She is an incredibly intelligent person, as well as a very kind soul. I especially love how she bridges the gap between the medical and midwifery realm--taking the best of both worlds to provide the best care for her clients. Her in-home office and patient library is very cozy and welcoming, and she is always sure to ask consent before doing any procedures (even one as simple as touching the baby belly). She answers all questions as thoroughly as possible within the realm of her knowledge, and goes out of her way to research further if necessary. She was always a phone call or a text away, I felt like I could ask her anything at any time and receive her full attention. She treated my family and my unborn baby with the utmost respect, and when my daughter was born successfully at home she provided us with incredibly efficient medical care, as well as genuine warmth and affection, at the birth and in the 6 weeks following. So grateful for Ash and highly recommend her! We enjoyed relaxed informative prenatal visits with Ash. She took the time to explain the pregnancy and birth process. We felt very prepared and supported. Ash also encouraged good life style choices throughout the pregnancy and we now have a very healthy baby. For us, having our baby at home was the right choice and Ash was instrumental in making that successful. We received excellent, individualized care from Ash Johnsdottir. She is an incredibly intelligent person, as well as a very kind soul. I especially love how she bridges the gap between the medical and midwifery realm--taking the best of both worlds to provide the best care for her clients. Her in-home office and patient library is very cozy and welcoming, and she is always sure to ask consent before doing any procedures (even one as simple as touching the baby belly). She answers all questions as thoroughly as possible within the realm of her knowledge, and goes out of her way to research further if necessary. She was always a phone call or a text away, I felt like I could ask her anything at any time and receive her full attention. She treated my family and my unborn baby with the utmost respect, and when my daughter was born successfully at home she provided us with incredibly efficient medical care, as well as genuine warmth and affection, at the birth and in the 6 weeks following. So grateful for Ash and highly recommend her! Amazing! That's the words I would use!! I had two previous births, both in a hospital. I was looking for something different, something personal and unique. Ash was just that. She was thoughtful, caring, reliable, and really listened to my concerns and worries. She was always prompt in getting back to me when needed. As far as birthing, she came when I called no questions asked. I really couldn't have asked for better care for my in home birth. I highly recommend Ash!! I made the decision to switch from an OB to a midwife at 20 weeks because I was determined to receive personalized and gentle care, and that is exactly what I received from Ash! I never once felt rushed during any visit, she answered all of my questions professionally and unbiasedly. Ash was incredible throughout our home birth... Calm, patient, and supportive. I appreciated her extensive knowledge and techniques, and her unique combination of classic midwifery and modern medicine. If you are searching for an intelligent and encouraging midwife, Ash is your gal. What I appreciate most about Ash as my midwife, is her constant respect for my body. I She always asks for my consent before touching me, talks to me honestly yet compassionately about the choices regarding my body, pregnancy and birth. She is a great blend of western medicine and natural alternatives, and my partner and I left our appointments feeling well informed. Laboring and giving birth at home was a deeply empowering experience for me. Ash’s lack of intervention, gentle instruction and encouragement let me know that I could trust my body fully and that I was already doing what I was supposed to do. It felt so good to bring my baby girl into this world in my home knowing every step of the way that I was doing a great job. After giving birth, I felt very emotional, and struggled a lot with the physical changes my body was going through. Ash listened compassionately, spoke frankly about my options and was so kind with the support that she offered. I always felt better after talking withy her. She was easily available by phone, and always called me right back if she missed a call or received a text. I’m glad I chose Ash as my midwife and would recommend her to anyone seeking an empowering home birth experience. As a first time mother choosing Ash as a midwife was the best decision I made during my early pregnancy. She is very knowledgeable in all stages: pregnancy, delivery and post-partum. Before I found Ash I had three appointments with my OBGYN. In my first appointment with Ash I learned more about my pregnancy than I had during all my previous OBGYN visits. Ash provides a comprehensive Handbook covering everything from pregnancy to child-birth and post-partum. I found this extremely useful and informative. At all times during Ash’s care I felt safe and confident in her skills and knowledge trusting in her ability to provide the best care possible, which she did. I could not imagine going through my birth without Ash as my Mid-wife, she empowered me, giving me the best possible birth imaginable! I highly recommend Ash Johnsdottir! Ash is wonderful. She takes time to explain things to make sure her clients can make informed decisions. She also had a wealth of knowledge for all the resources I needed! 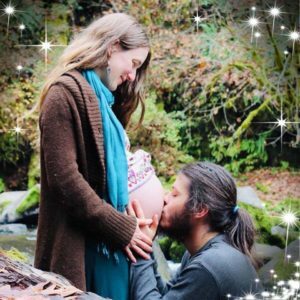 Willamette Birth is the midwifery practice of Corvallis midwife Ash Johnsdottir, who is a licensed & certified professional midwife serving women & families in Corvallis, Salem, Eugene, Springfield, Newport, Albany, Philomath, Lebanon, Junction City, Sweet Home, & surrounding areas. We provide complete prenatal, birth, postpartum, and maternity care in Oregon’s Mid-Willamette Valley and beyond. Private Insurance and Oregon Health Plan (OHP) accepted. Willamette Birth Ash Johnsdottir, MIDWIFE Serving the greater Willamette Valley. Call (541) 908-9188 or submit this form to ask a question or request a consultation with midwife Ash Johnsdottir, BSM CPM LDM.